This Holiday Insta Party is a festive and versatile party in a box that offer the holiday party supplies and decorations you need for any office holiday party, family party and friends bash! These designer-curated party sets will make you an admirable and effortless host in an instant. Styled to perfection and totally social media worthy, you and your guests are sure to be snapping and sharing! Serves a party of 8. Select the Holiday Insta Party size you need for your occasion and watch your party come to life with ease! Just add food...and maybe some friends and booze, too. Keep this all-inclusive holiday party box on hand to be party ready at any time this holiday season! Last minute holiday parties are a cinch with this party in a box that ships same day. 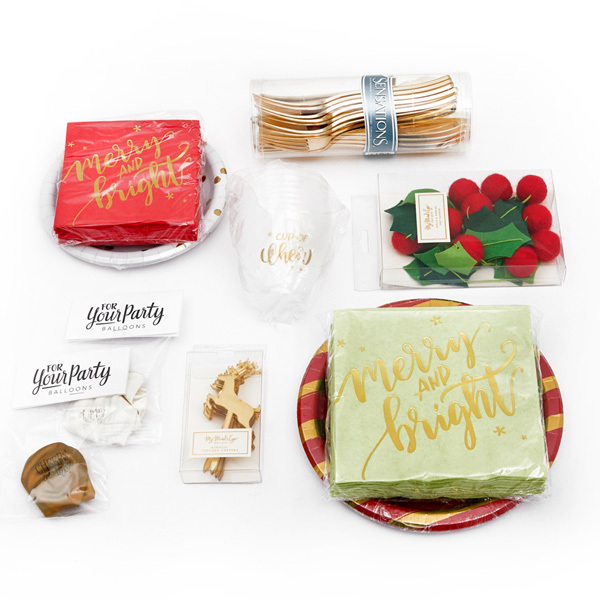 FYP's Holiday Insta Party box is complete with party supplies and party decorations so that you can throw a Christmas party that is both stylish and stress free. 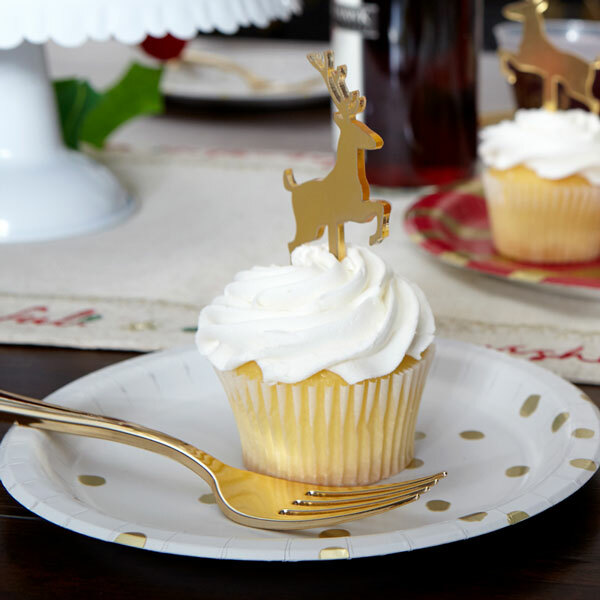 With a festive "Merry and Bright" theme, this holiday party in a box will be perfect for that office Christmas party, or even your annual family gathering you're planning. A trendy spin on traditional season colors, these holiday party supplies are the fresh spin you need to deck the halls this year. 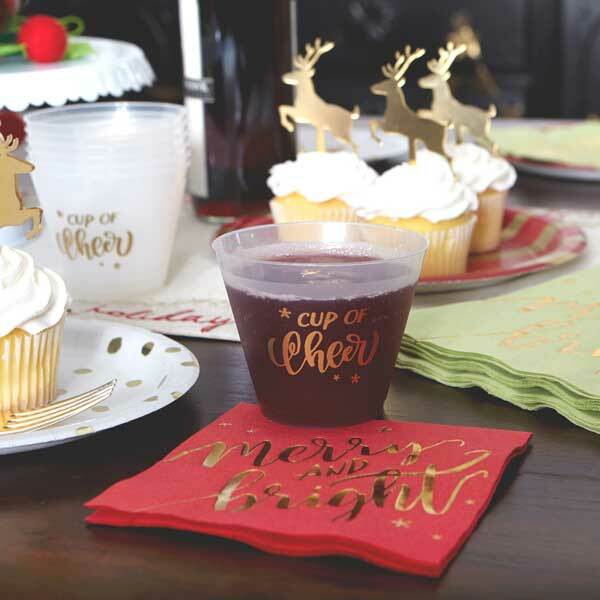 Cute party supplies like foil stamped Christmas napkins, holiday plates and cups are paired with a felt holly banner and party balloons to bring together party supplies and decor in one convenient box. Truly, everything you need to host a holiday party—just add booze, food and friends! You can even use this party box when for a kid friendly holiday party. 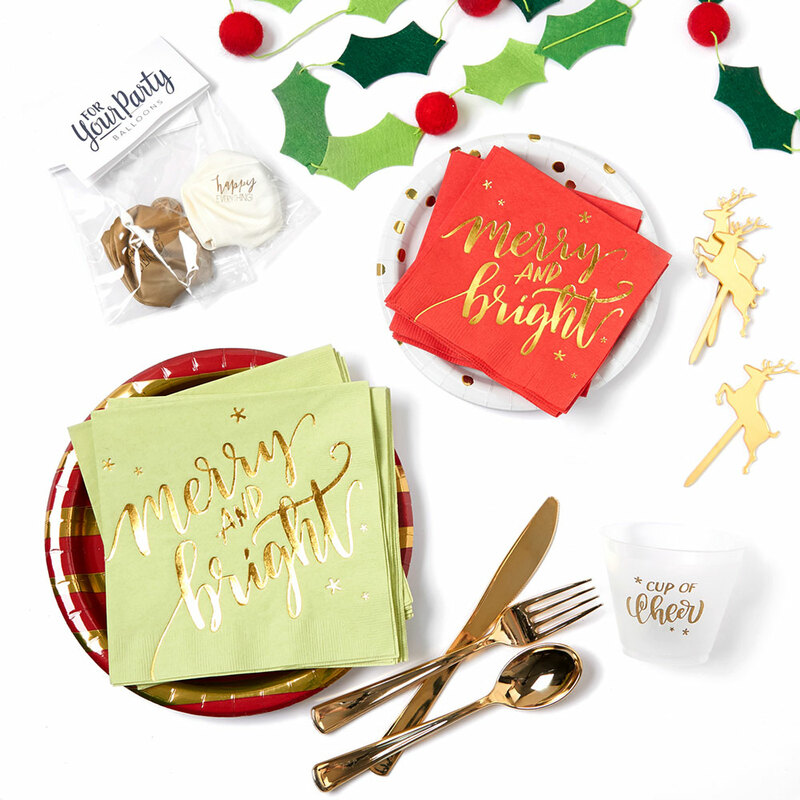 Guests will adore the coordinated details and you can rest easy with a party set that includes festive party supplies and the perfect holiday decorations, too. Looking to host a smaller party? You can also choose a scaled down party in a box by selecting our Cocktail or Dinner Holiday Insta Parties. Whether you're hosting your office Christmas party or looking to wow friends with a fun holiday party idea, you'll love this Insta Party! Our stylish holiday party kits and same day shipping will make you an admirable and effortless host in an instant!